4/20 is just one week away and Adidas Skateboarding have the perfect product for those celebrating. Teaming up with trainer shop BAIT their latest sneakers have been revealed. 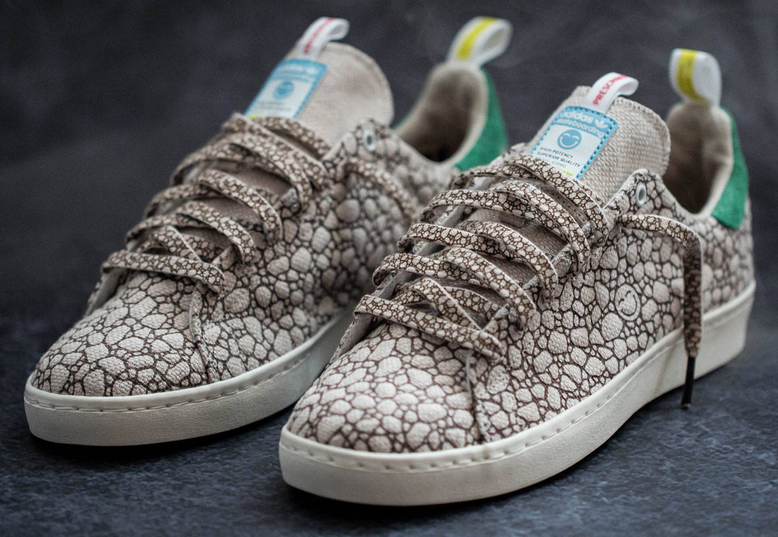 As reported by SBTV, the appropriately named ‘Happy’ kicks are made from hemp and feature a convenient hidden pocket. Tucked away inside the tongue of the shoe, wearers will be able to use the pocket to hide an array of items. 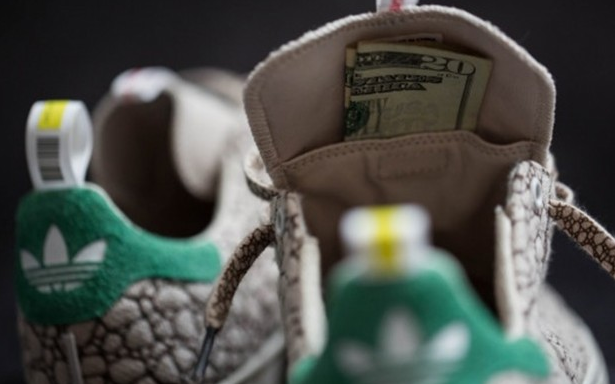 From cash to keys, or maybe even a 20 bag if you are so inclined, these trainers will keep your prized possessions safely out of sight. 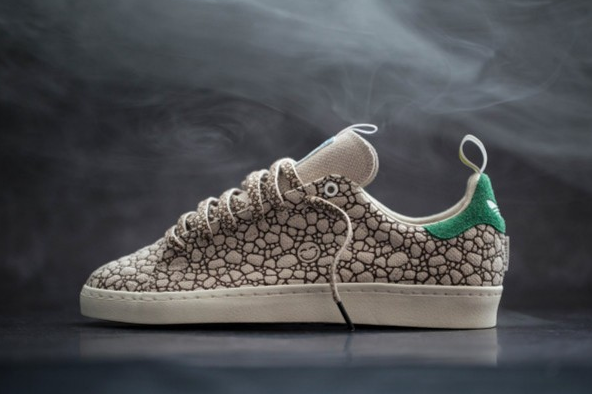 Based on the classic Stan Smith design, the trainers boast an array of features to celebrate weed culture. 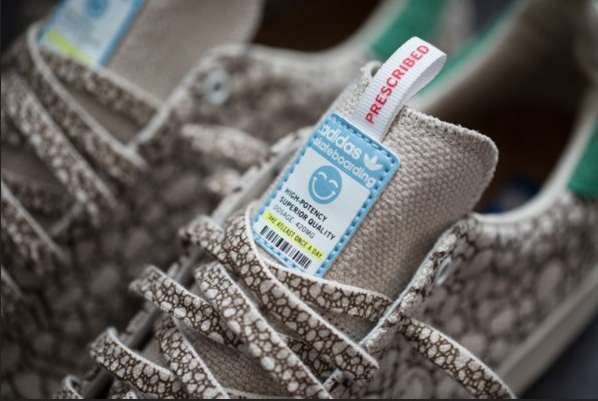 The shoes upper are heat pressed to ‘celebrate the burning of hemp’, while a tab on the tongue features the wording ‘prescribed’ in honour of the healing properties of medical marijuana. The ‘Happy’ trainers are set to go on sale on April 15, but if you want to get your feet or ganj inside a pair then you best register on BAIT’s website by Friday April 15 – they will be distributed via a raffle.